As a human, you usually think of exercise as something you do at a health club or in your home gym to keep in shape. This is a very narrow definition of exercise when compared to how its practiced by dogs. 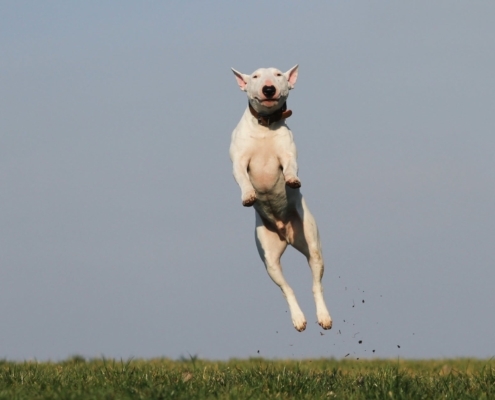 The way dogs exercise offers both physical and mental benefits, a truly holistic activity. 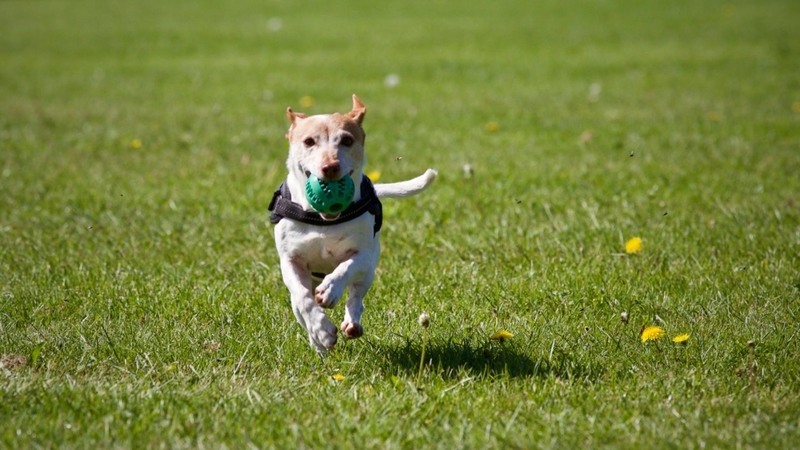 The two main benefits of exercise for dogs is that they physically expend pent up energy and mentally burn off stress. 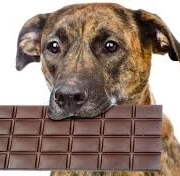 For example, even if a dog’s main motivators during exercise are as simple as attempting to figure out what you’ve done with a favorite chew toy, it still helps them greatly to solve the puzzle both by repeatedly locating the object and chasing it down. 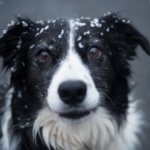 Exercise benefits your dog as well as you, the owner, by keeping your dog happy and healthy. Regular exercise also solidifies the bond of companionship between you and your dog. On the other hand, a dog without regular exercise can become irritable and aggressive. The dog grows listless and bored, and creates problems for it to solve. Oftentimes this boredom is manifest in wrecking items in your home, such as furniture or potted plants, and can evolve into truly dangerous behavior on par with unwarranted attacks. Most dogs generally need about 60 minutes of exercise a day. 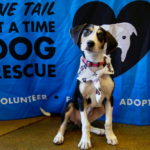 This time may vary by breed, and you should consult your veterinarian to get a better idea of what type of exercise time and exertion your dog needs. Exercise requirements are independent of size, but size can play a role in where and what type of exercise you participate in with your dog. A smaller dog may be able to exercise comfortably within your home, by chasing down chew toys and running around an enclosed area, but generally you’ll want to take your dog outdoors for exercise. Walks should be a supplement to exercise, not a replacement. 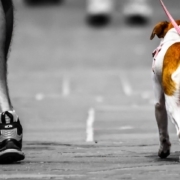 Dogs love walks, and you should maintain a regular walking schedule with your dog, whether with the aid of a professional dog walker or on your own. 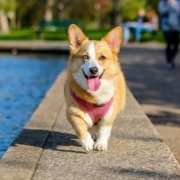 Exercise time is an additional activity to walks, and while you can exercise your dog during a walk, for example by stopping at a park for a game of “fetch” or with an exercise in your home yard after a walk, the two should be considered separate so you are sure to give your dog the exercise time she needs. Quality “doggie day care” services are growing more popular in urban and suburban locales, and offer a great opportunity for your dog to get her daily dose of mental and physical exercise, as well as regular socialization, another important ingredient of getting your dog out of the house. Several common household dogs can be classified as “high energy.” A good rule of thumb is that dogs of shepherding and sporting pedigrees will require more physical and mental stimulation throughout the day than those without such active ancestry. High energy dogs need a lot of outside time, and should have their exercise time cared for well above and beyond a regular walking schedule. An example of high energy dogs that aren’t typically thought of as such are Pugs. 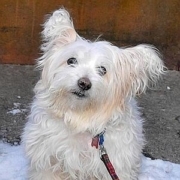 These smaller sized dogs have suffered from a common belief that they can get enough indoor exercise during the day on their own, and have as a breed grown susceptible to obesity, which is a severe health risk in dogs. Other examples of common, domesticated high energy dog breeds include: Labrador Retrievers, Golden Retrievers, Irish Setters, Poodles, Dobermans, Huskies, Terriers, Border Collies, Vislas, Shepherds of all kinds, and Boxers. Mixed breeds may respond differently to exercise, and each should be taken on a case by case basis – a juvenile Lab will be far more active than a 10-year old Poodle. Consult with your veterinarian about your dog’s breed and current health status before deciding on the duration and intensity of daily workouts.